This presentation will focus on the science and clinical performance of local anesthesia, including recent advancements. A review of the documented studies on the time course for soft tissue analgesia and pulpal analgesia will lend to the discussion on the commonly held beliefs under which many dentists organize their practice day. The presentation will discuss the role that alkalinization (pH buffering) standard dental anesthetic cartridges immediately before delivering the injection can affect the anesthetic’s performance, the patient experience, and the practice’s schedule. The presentation will describe and demonstrate a novel ex vivo precision cartridge buffering system. Appreciate the differences between the realities of anesthetic performance and the commonly held beliefs. Understand the role that pH and dissolved CO2 play in the practical measures of anesthetic performance (injection pain, latency, profundity). Discuss how precision buffered local anesthetic may shift the way a dental professional practices and the patient’s experience with anesthetic during a typical dental visit. “Local Anesthetic Performance; Fiction, Fact and Advancements (Precision Buffering)” is co-sponsored by Tribune Group GmbH. Tribune Group GmbH is a recognized ADA CERP and AGD PACE provider. Doctor Malamed was born and raised in the Bronx, New York, graduating from the New York University College of Dentistry in 1969. He then completed a dental internship and residency in anesthesiology at Montefiore Hospital and Medical Center in the Bronx, New York before serving for 2 years in the U.S. Army Dental Corps at Ft. Knox, Kentucky. In 1973, Doctor Malamed joined the faculty of the Herman Ostrow School of Dentistry of U.S.C., in Los Angeles, where today he is Professor of Anesthesia & Medicine. Dr. Malamed is a Diplomate of the American Dental Board of Anesthesiology, as well as a recipient of the Heidebrink Award  from the American Dental Society of Anesthesiology and the Horace Wells Award from the International Federation of Dental Anesthesia Societies, 1997 (IFDAS). Doctor Malamed has authored more than 140 scientific papers and 17 chapters in various medical and dental journals and textbooks in the areas of physical evaluation, emergency medicine, local anesthesia, sedation and general anesthesia. 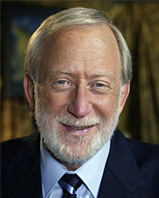 In addition, Dr. Malamed is the author of three widely used textbooks, published by CV Mosby: Handbook of Medical Emergencies in the Dental Office (6th edition 2007); Handbook of Local Anesthesia (6th edition 2012); and Sedation – a guide to patient management (5th edition 2010) and two interactive DVD’s: Emergency Medicine (2nd edition, 2008) and Malamed’s Local Anesthetic Technique DVD(2004). In his spare time, Doctor Malamed is an avid runner, exercise enthusiast, and admits an addiction to the New York Times crossword puzzle, which he has done daily since his freshman year in dental school. Dr. Falkel is a class of 1987 graduate of University of the Pacific, Arthur A. Dugoni School of Dentistry in San Francisco, California. After graduation he attended his General Practice Residency at the Veterans Administration Hospital at West Los Angeles and has been in general Practice in Monterey California since 1989. Having experienced frustration with the performance of local anesthetic in his practice, particularly around the frequency of failed anesthetic, delayed onset, injection pain and post-operative discomfort, he began research into the pharmacokinetics of dental anesthetic. Based on this research, Dr. Falkel has developed an alternative new paradigm in anesthetic delivery science for dentistry. Dr. Falkel is the co-founder of Onpharma Inc. an anesthetic technology and products company.